Good morning! I had a wonderful week with lots of time with friends, getting back into some of the volunteer work that I love. I finally feel *well* enough to get out and devote my energy to more! I guess at 250+ pounds it is just too exhausting to move much, to be honest. I always felt like I was lugging around a couple of suitcases full of rocks, huffing and puffing and wishing I could just sit down and rest most of the time. It was hard. Not as hard as 280+, but way, way harder than now. I am over 200 pounds but still, I feel light on my feet and able to fly up and down stairs with no thought, able to stay on my feet for longer without pain, and able to just be active without always thinking I need a break. This past week I spent a few hours working with dogs and in shelters, going to volunteer meetings, and helping with a new member Bible study group for church. I feel like a better person because of it and love meeting new people! 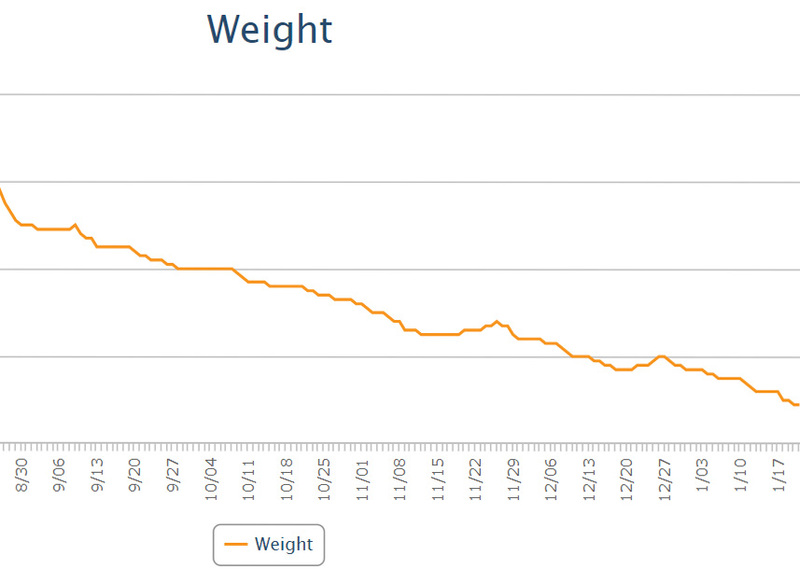 This week I am down another 3 pounds to 209. I am very excited about that! I've been sorting and donating clothes and have more and more options in the way of jeans and shirts to wear. I had fun this week cooking and baking for myself and my family. I'm learning to enjoy cooking things that I am not going to eat (by choice, because they are higher carb) and when I feel like it, making smaller portions of sugar free or low carb substitutes for myself. If you missed the comparison photos I put up last week, you can see them here: Pictures: July and today. 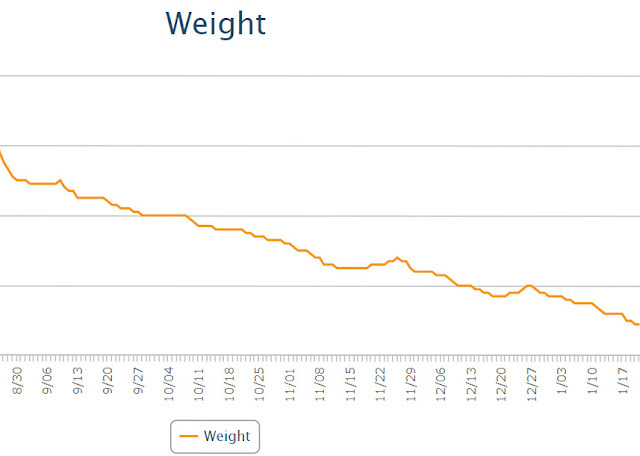 When I hit 208 pounds I'll do my formal update pics and measurements, but for now, here's a graph of my weight loss on phentermine from the end of August until now. Looking at your instagram pictures I am confused. It doesn't look anything like diet food at all. It looks fattening to me. I wonder the same thing and also where the vegetables are. Vegetables, like cabbage, spinach, cucumbers, kale, broccoli etc aside from potatoes, canned green beans and tomato sauce. Take a look at my Instagram! Just in the last 7 days, there is spinach (x2), lettuce, mushrooms (x4), onions, cucumbers, tomatoes, carrots (x3), and green beans. Good stuff! What is with all the vegetable Nazis on your posts lately? Geez. I don't think they get the concept of an "appetite suppressent." Just keep doing what's working, Lyn. Shoving a bunch more vegetables into your stomach when you aren't hungry isn't going to make anything better! PROTEIN is what matters now. I agree with the last anon. Clearly, what you are doing is working. Glad to see things have turned around for you. Yay for you! Keep up the good work? Your weight loss is phenomenal. It doesn't matter how you lose it (unless doing something hurtful, of course), it matters that it comes off and stays off. That extra weight was killing you, whether you believe that or not. You are doing the best possible thing for your health by getting to a normal weight.